Crowns are sometimes described as a cap which covers the whole tooth surface. 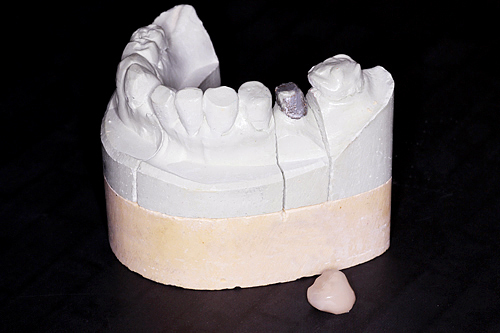 When a tooth has been extensively restored, or has broken down, a crown will protect the remaining tooth, leaving this fully functional in the mouth. 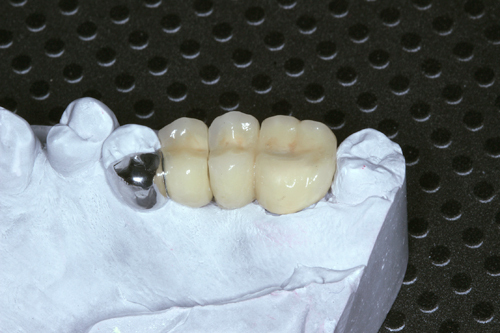 Material for crowns can vary from full porcelain, porcelain bonded to metal, gold and alloy mix. Porcelain crowns can be matched to the colour of your existing teeth. The best treatment options for you can be discussed with your dentist. 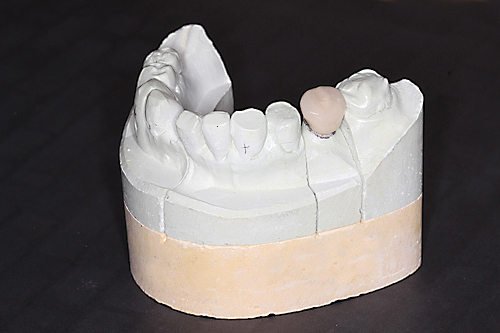 In cases where teeth are missing, bridges can fill the gap where there is no longer a tooth, restoring the biting function that area of the mouth. Bridges are usually tooth colour and will match to your existing teeth. 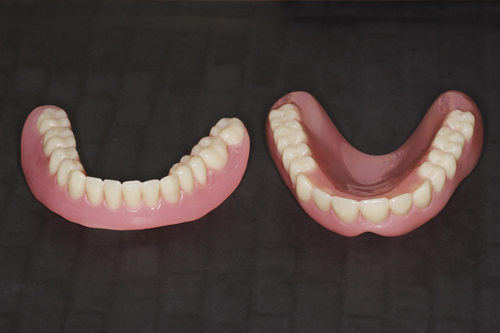 We can supply you with dentures to replace missing teeth. 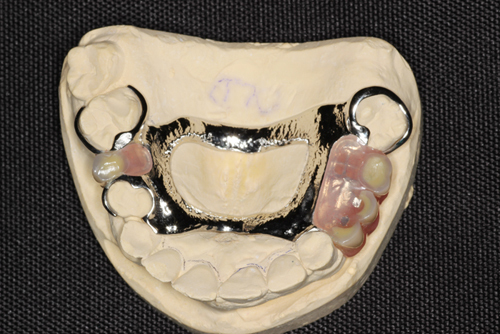 Full or partial dentures can be customised to fit your mouth. 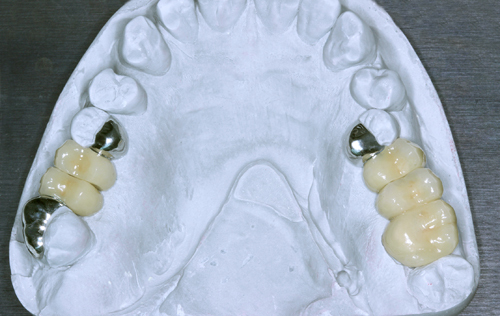 Acrylic or Chrome Colbalt dentures are available. Your dentist can advise you on the best options for you, and how to look after your dentures.